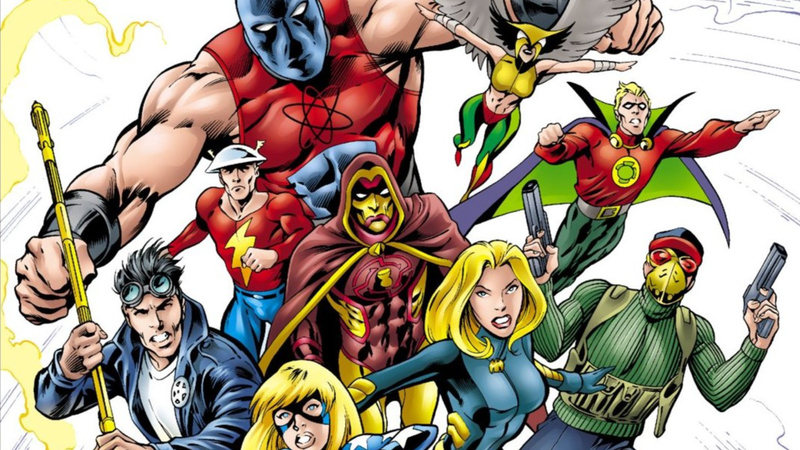 What's New on DC Universe: ANIMAL MAN, JSA, and PLANETARY! It's another big week at DC Universe, with new comics, sweepstakes, polls, and the premiere of the latest DC Universe original series -- Doom Patrol! Plus, we've made a few updates to our digital streaming service that will improve your viewing experience! Several groundbreaking new comics from throughout the multiverse have arrived today, featuring world-famous heroes and cult icons alike. One of writer Grant Morrison's earliest series tackling a DC hero was Animal Man, and now the entirety of his run -- chronicling the adventures of the beast-powered stuntman Buddy Baker -- is available for you to read. Another landmark series to check out is the complete run of JSA, featuring the modern-day incarnation of the very first DC Super Hero team, the Justice Society of America, written by Geoff Johns and David Goyer, and featuring upcoming DC Universe superstar Stargirl in some of her earliest adventures. Two of DC's Trinity are represented this week as well. You can enjoy the fan-favorite five-part Superman adventure "Last Son" from Action Comics, written by Geoff Johns and Superman: The Movie director Richard Donner. And for Wonder Woman fans, the entire Amazons Attack! limited series has come straight from the shores of Themyscira for your reading pleasure. If Gotham City's heroes are more up your (crime) alley, be sure to read writer Gail Simone's amazing New 52 run on Batgirl, which features Barbara Gordon's long awaited return to the cape and cowl after several years as Oracle. We've also got the complete run of writer Warren Ellis' Planetary from the Wildstorm universe, one of the wildest, most imaginative takes on the super-team concept ever presented in comics. And to improve your experience reading all of these great new titles, we've made it so that comic books on DC Universe no longer need to be downloaded in order to be read on mobile devices. (Of course downloading is still an option for those who wish to read on a subway or plane.) Additionally, you'll find we've made improvements to our Chromecasting; and enabled it so you can now skip the introduction on Amazon Fire TV. With the most romantic holiday of all landing this week, we are devoting not one, but TWO polls to the romances of the DC Universe. Today, February 12th, we want you to tell us "Which DC Couple Needs More Love?" Do we need more Adam and Alanna Strange? Or more Maggie Sawyer and Batwoman? And on Valentine's Day, February 14th, we turn to the classics and ask "Who Is Your DC Power Couple?" Is it Lois and Clark? Batman and Catwoman? What about the Arrow and the Bird? Vote in our polls and shout your feelings from our digital rooftops! We continue our celebration of Black History Month this week with another of comics' greatest African-American heroes -- in our John Stewart Green Lantern Sweepstakes, which begins on February 12th at 9AM PST. This former USMC member is one of the Green Lantern Corps most celebrated ring bearers; and for a whole generation, he's the greatest of all -- thanks to his membership in the animated classics Justice League and Justice League Unlimited. Last but not least, this Friday, February 15th, you can catch the premiere of Doom Patrol exclusively on DC Universe, featuring the World's Strangest Heroes in their very first live-action series. Enjoy! What are you most excited for this week? Let us know in our Community!